The campsite belongs to a greater recreation area. In a radius of some 500 m there is the municipal swimming pool, the sports centre, the polyvalent Fenix hall, a large playground and a petanque piste. Next to this area you will find the famous Ypres Ramparts, built by the French rampart builder Vauban. Explore the ramparts with the Ypres rampart route, available for purchase at the reception desk! This rampart route will also take you to the Hornwork park, a small nature reserve next to the campsite. 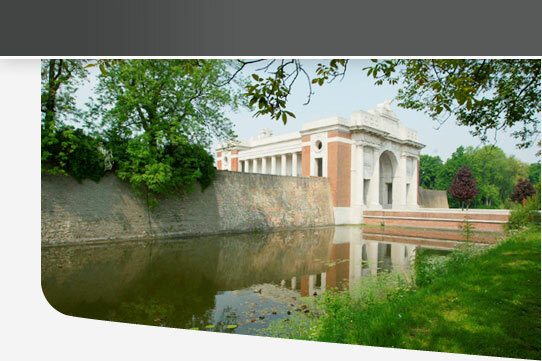 The Menin Gate, where the Last Post is sounded daily at 8 pm., is just a 10 minute walk away. Make sure you get there thirty minutes early to experience the ceremony on the first row! Walk 300 metres further and you will be on the famous Ypres market square with the Cloth Hall. Here you will find the Tourist Department, the Town Hall and the In Flanders Fields Museum. Bellewaerde theme park is just 3 km away. Ypres is an excellent base from which to explore the entire Westhoek. Although the war ruins are a constant reminder of the First World War, the Westhoek has much more to offer. In the woods around Ypres, on the hills of the Heuvelland or in the Yser valley you will find a green, peaceful and splendid nature, where walking and cycling paths cross one another. Historic towns like Diksmuide or Veurne are within a 30 km radius and are splendid stopping places on the way to the Belgian coast at some 40 km. You find all info about the region Westhoek on Toerisme Westhoek. Ypres is also very close to the French border. The border region with small towns like Bailleul or Cassel is well worth a trip. All info on Pays de Flandres.